The federal budget process—or lack thereof—has followed a predictable path since the Republicans wrested control of the House of Representatives from the Democrats in 2010. The President proposes an annual budget that Republicans believe will break the bank; Republican House Budget Committee Chairman Paul Ryan releases a budget that Democrats claim will decimate social programs. This debate is important: the federal budget dictates most government expenditures. Since federal spending accounts for 20.8% of Gross Domestic Product, its effect on the economy is massive. Incessant budgetary debates dominate media coverage and raise serious questions about our national priorities. Should we cut money from food stamps to fund federal pensions? Are national education grants more important than airport security? 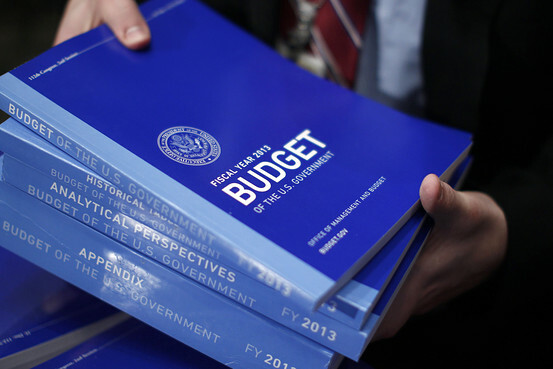 How will a proposed program affect the deficit? An important question, however, is rarely addressed: how do we measure the deficit? The answer to this question has broad implications for national policies that affect all Americans. It is especially pertinent for students since the government’s current budgeting system doesn’t account for the social insurance benefits we are projected to receive someday. America’s main budget, the Unified Budget of the United States, is like a checking account that doesn’t have to balance. It measures government cash intake and describes how this cash is to be spent. The annual gap between cash received and cash spent—$680 billion in 2013—is the budget deficit featured in policy debates and splattered across headlines. The government’s debt using this system is about $17.6 trillion. The seemingly logical step of comparing cash revenues to cash expenditures is called cash-based accounting. But cash-based accounting is rarely used in the private sector because it does not adequately measure long-term costs. Cash-based accounting excludes many liabilities and is thus misleading when companies have a lot of future payments, like pensions for instance. Unlike the government, businesses’ balance sheets reflect expenses when they are incurred, not when they are paid. This is called accrual accounting. General Motors, for example, issued a recall over faulty ignition switches that is projected to cost $1.3 billion. Although it is expected to pay equal amounts for the rest of 2014, the company recorded the entire expense on its books in the first quarter. The cost was recorded when announced, not when paid. This also applies to private benefits. Workers are legally guaranteed pension benefits when they have worked for a certain amount of years at a company. Businesses record these pensions as liabilities on their balance sheets when employees earn them, not when they are actually paid. Accrual accounting forces businesses to appropriate funds to pay future legal obligations. Although the Treasury Department does produce a Financial Report of the United States that uses a modified form of accrual accounting, this document is separate from the official budget. America’s debt on an accrual basis looks very different from what the media reports. The 2013 accrual deficit was about $200 billion higher than the 2013 cash deficit, and this is not limited to one year. The officially reported national debt does not include: about $7.8 trillion of federal pensions, veteran aid, and other credit accounts. The chart below illustrates the historical gap between America’s reported cash and accrual deficits. Bars below the black line are deficits; bars above are surpluses. In 2009, the cash deficit was higher than the accrual deficit because of the stimulus package. There are advantages to using a cash-based system and some of the most notable are in financial markets. The government issues short term Treasury Bills to raise cash for its immediate borrowing needs. These assets—the safest and most liquid in the market—are used as benchmarks for many financial instruments. It would be difficult to assess how many bills to issue and how to price them without immediate information about the government’s cash stockpiles. Additionally, the government needs to know its cash position when considering immediate spending needs. But the benefits of using an accrual system—primarily a more accurate description of the government’s fiscal outlook—far outweigh the advantages of a cash system. The government can still provide cash information to financial markets just as publicly traded companies must issue a statement of cash flows in their annual reports to the Securities and Exchange Commission. An accrual system would force politicians to adequately fund future obligations because the budget would reflect their true long-term cost. Under the current cash-based system, the government can legislate new pensions but not appropriate funds to pay for them since pensions are not paid the same year they are earned. Unfortunately, even if the government adopted the Treasury’s accrual Financial Report as its budgetary basis, many of the government’s future social insurance payments such as Social Security and Medicare would still be excluded. The gaps on the chart above would be larger if the present value of future social insurance programs—$40 trillion—was added to the accrual deficits. Unfortunately, since the government has no obligation to pay Social Security benefits, they are never technically “accrued” and therefore excluded from both cash and accrual measurements of the government’s fiscal health. Remember that accrual accounting only accounts for the liabilities the government is legally required to pay. In 1960, the Supreme Court ruled in Flemming v. Nestor that citizens do not have a contractual claim to Social Security payment, meaning that citizens do not have a property right to future benefit payments. Justice Harlan wrote, “To engraft upon the Social Security system a concept of ‘accrued property rights’ would deprive it of the flexibility and boldness in adjustment to ever-changing conditions which it demands.” If future Social Security payments to Millennials were viewed as property, then it cannot be altered without “due process” and “just compensation” under the Fifth Amendment. Reform would be effectively impossible due to this high constitutional bar. Pensions, unlike many social insurance programs, are legal obligations so they are included. The legal basis for Social Security reform paradoxically prevents projected payments from appearing in the accrual basis Financial Report. A transition from a cash budget to an accrual budget would more accurately convey the government’s long-term fiscal situation and would be a step in the right direction. But a purely accrual system would neglect the present value of $40 trillion in unfunded social insurance benefits since the government has no legal obligation to pay them. Since these expenses are not obligations, the government wouldn’t budget for them even under an accrual basis. Currently, this information is buried deep within a Statement of Social Insurance that accompanies the Financial Report but it is not nearly visible enough. The government should switch to an accrual budget and require itself to allocate funds for unfunded social insurance programs even if they are not technically legal obligations. It is unlikely that the government will abolish social insurance programs, and our budget must reflect that. The media prides itself on its ability to hold government accountable. Americans already weary of the Vietnam War were outraged when the New York Times released evidence of secret bombings in Cambodia in 1971. When Glenn Greenwald stunned the world with stories of the NSA, the public demanded reform, and the government seemed poised to act. It is time for the media to fulfill its historical role. Every policy debate has a budgetary component, yet the government systematically misstates its obligations by using a cash-based budget. This problem is as severe, if not worse, than many government secrets the media has uncovered. The federal government systematically underfunds pensions that it must pay its workers and it doesn’t account for benefits it has promised future generations. It is time the American public knows that our government doesn’t know how to count.